After a couple of months of beta builds, the stable Android Pie build with One UI for the Samsung Galaxy S9 and Galaxy S9+ is ready. Well, it’s ready for the S9 and S9+ on Xfinity Mobile. I know that is probably somewhat disappointing to those on major carriers, like Verizon or T-Mobile, but that’s the situation here. And again, we had the first beta builds in November followed by numerous updates thereafter. Samsung also told us that January would be the month that they widely rolled out stable One UI to the two S9 phones. Here we are! The build arrives as G965USQU3CSAB, weighs in at almost 2GB (1998.8MB), and includes the January security patch. It’s a big update. Why nothing on the unlocked models? Tough to say, but this same thing happened last year with the Galaxy S8. Samsung opened up a beta program for unlocked, Sprint, and T-Mobile units, only to then issue the Oreo update to the Verizon version first (in the US), which wasn’t a part of the beta. READ: Hey, Samsung, Better Job With Pie Updates so Far! 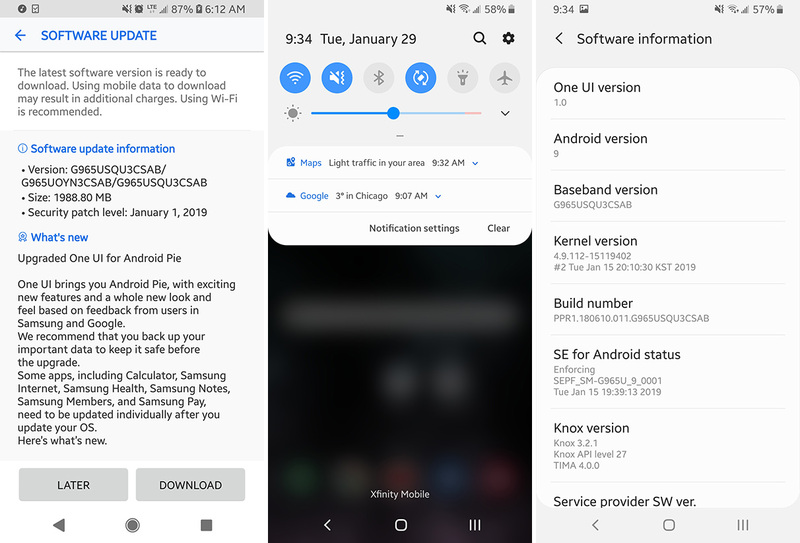 Samsung appears to be pushing harder with Pie this year, possibly because they want One UI in the hands of owners before the Galaxy S10 drops in a few weeks. January is good timing, though. 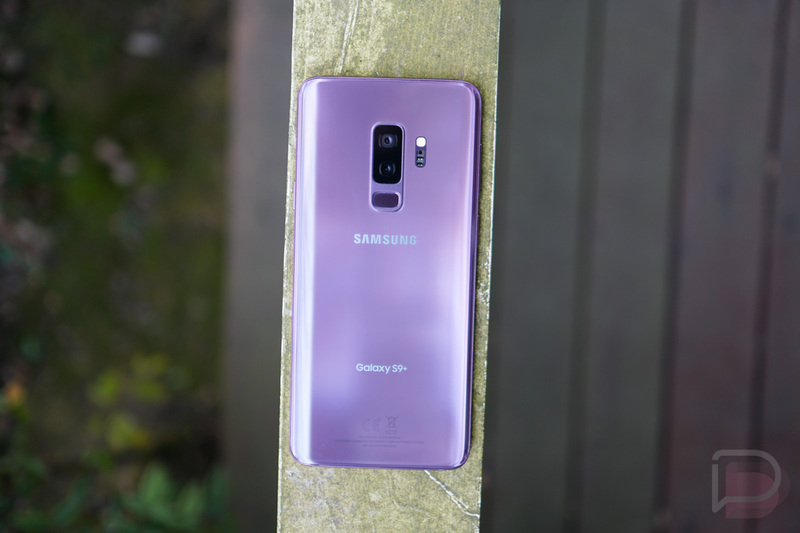 To grab the update on your Xfinity Mobile Galaxy S9, head into Settings>System update.